We believe health is a precious gift, therefore, careful research and thought is given to all the procedures, techniques,dental materials, anesthetics to ensure compatibility and safety. In order to help ensure these goals are obtained we have our own in-house dental laboratory to control all aspects of restoration fabrication, as well as to provide the convenience of same day crowns/restorations along with the placement of minimally invasive metal-free dental implants to replace missing, hopeless, infected, failed and/or a problematic root canaled teeth while being able to provide safe relaxating oral conscious sedation if needed. We are a mercury-free office that provides safe mercury filling (amalgam) removal in our exclusive negative-pressure suites, along with special protocols for your health and safety. 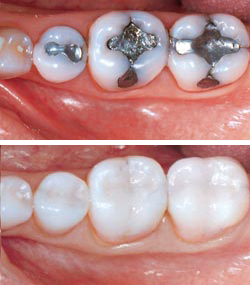 So if you would like to safely remove your defective silver-mercury fillings (metal fillings/amalgam) which may be leaking mercury, or you simply want to get your cavities fixed, or you would like find out what it will take to have us place a ceramic dental implant for you to replace a missing or failing tooth, then you need to visit us. "I hate injections, but I didn't feel anything with Dr. Larsen's injection technique! Wow" - Jestin Y. "Dr. Larsen is a kind, thoughful man, who cares very much about his patients. I recommend him most highly! I feel that my health is better since my metal fillings were removed. "- Brad Li. "Thanks for being a great dentist. "- Marvin E.
"This is the cleanest and nicest dental office I have ever been to. Very personable and friendly staff. Dr. Larsen and his staff make a stressful situation a very calming and serene experence. Thankyou very much!! :)"- Estella G.
"Great Staff! Great Dentist! "- Jacqueline C.
"Love your office, very pleasant and cheerful. Everyone in the office is very friendly and makes sure I was comfortable. Really apperciate the non-toxic materials. Thanks for all your support"- Muriel O. "Today I am cancer free, I am amalgam free, and I am a medical miracle thanks to Dr. Larsen doing the ultimate detox for me- removing my amalgams. Shortly after having my amalgams removed, I also had my husband and daughters amalgams removed as well. I used to think that the expense of having the amalgam removed as the scary part. But being in that situation again, I would gladly sell all of my possessions to have them removed. It saved my life and it could save yours. "- Delia H.
"After getting my root canals and titanium implant out my joint pain when away. I stopped getting tachycardia and SVT symptoms. I can take a sauna now without feeling incredibly toxic and dizzy due to the bacteria in my mouth. Before, I would go in stores and have severe neurological symptoms (shaking, flushing, numbness in my head, blacking out) and that has gone away, too! So grateful for Dr. Larsen’s help in restoring my health.”- Alie H.
“Dr. Larsen’s root canal tooth extraction technique (#14) was 1,000x better than the technique used by my previous Oral Surgeon to extract a tooth (#15)”- David M. (Patient also said he had almost no soreness and pain compared to the tooth that was removed a few months earlier by his previous Oral Surgeon- directly behind where we did our extraction. This is most likely due to us employing minimally invasive extraction techniques, special cleaning, disinfection, and using a special grafting material to ensure complete healing. "The experience I had with Dr. Larsen and his staff has been fanastic. No only did they provide multiple reminders for appointment times, but they also ensured a pain free visit. Dr. Larsen was sure to make it a point that my teeth were numbed and I was comfortable. Best dentist visit I have ever had! 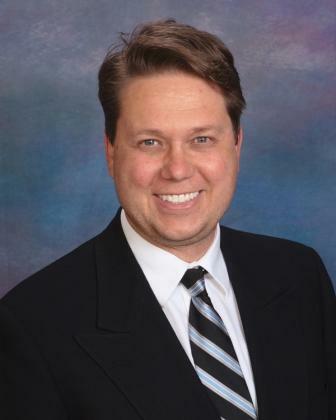 "- Elijah C.
"Dr. Larsen is a wonderful Dentist. Every visit is pleasent and all his staff is so friendly. I trust him and know what he does is amazing and my teeth feel great and health has improved. Anyone who is blessed to find him will always be grateful. Thank-You! "- Heather D.
"Two or three years ago, I was experiencing heart related issues. My heart would fluttter during the night and I did not know why. I did some research and ended up wondering whether the fluttering was due to my teeth. A visit to your office resulted in.................... A procedure that........................ resulted in the stoppage of the fluttering of the heart, period. I thank you doctor for you knowledge and dedication to your patients!" - Jose V.
"I've gone to Dr. Larsen for over 4 years now and I don't want to use anyone else for my dental needs. He's very efficient and makes sure you are comfortable through all phases. I trust his judgment and skills and always walk out knowing I've been taken care of. Thankyou Dr. Larsen and Staff for yet another satisfying experience! "- Megan V.
"Dr. Larsen's practice was an answered prayer! After five years of basically watching my life be stolen away from me in the form of mysterious staph infections, he confirmed a hidden jaw infection and failed root canal. Removing the existing dental work and clearing away the infection gave me more energy and restored my health. I have no pain and am loving the non-toxic implant! I have my life back! "- Leeanna H.
"All staff was wonderful, were very understandable, understood & everything was very understandable. "- Guadalupe M.
"Everyone is helpful, professional, & pleasant. I apperciate everyone. "- Cheryl B. 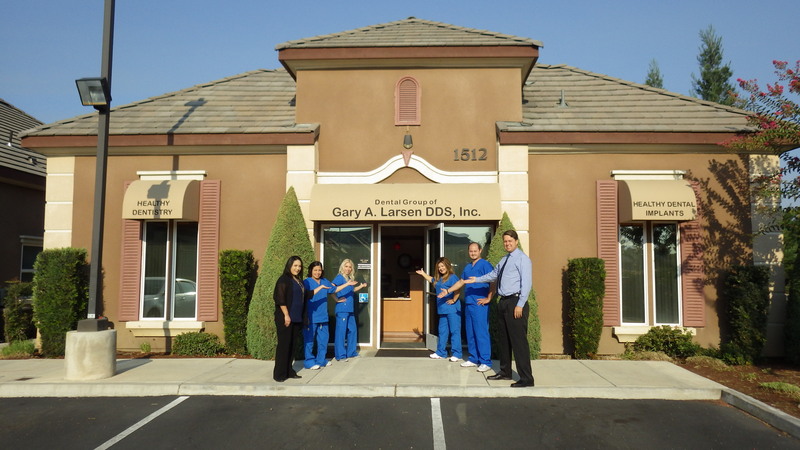 "Dr. Larsen and his entire staff are awesome professionals. I have had extensive dental work over the past 6 years and all of Dr. Larsen's work is still going strong with no problems! I recommend Dr. Larsen to all my friends and family. "- Dennis S.
"When I first visited your office I was very impressed with your approach to my health and since that first consultation, over 3 years ago, I continue to carry your advise with me daily as well as share it with others! You truely spared me from future problems that I otherwise would have encountered had I not sought your advise"- Michael L.
"My daughter was going through one bottle of Advil each month for her headaches. My daughter now says her headaches are now gone since you removed her mercury fillings two weeks ago. Thankyou so much Dr. Larsen! "- Meresila M.
"The dental health of my teeth is an essential part of my well being! The dentistry by Dr. Larsen far exceeds my expectations through removing of toxic materials. My recent experience included a crown removal and replaced within a couple of hours with a new crown! Wow! No come back in a couple of weeks nonsense! All work was computer generated "3D" and an in house production. Beat that! Lastly, my past expereince with other dental offices were a nightmare! This is not the case with Dr. Larsen's dentistry. All work to be done is outlined and communicated with my health plan. There is therefore zero suprises of a hidden cost! Thus, the confidence gained from being healthier, with the professinalism of this staff will never compromise my well being for a healthier lifestyle! Thanks again Dr. Larsen"- Christopher M.
"Today I left Dr. Larsen's office one happy patient. After numerous appointments I finally have all 14 of my mercury fillings out! My smile looks beautiful without any mercury showing like it use to. I would like to thank Dr. Larsen and his staff for all their help in working with my busy schedule and for my awesome smile. "- Erika M.
"My expereince today was the best. Dr. Larsen is awesome. Awesome office & team. "- Anna M.
"Everyone was nice and helpful. "- Tulya M.
"The whole staff was completely professional and friendly. They made me cofortable and educated about what was going to happen and what they were going to do. I'm glad I put my dental needs in their hands"- Rudy E.
"Good hand techniques and no pain"- Krinstin J. "I am so very apperciative of all the quality dental work that Dr. Larsen and his staff have done for me. Eleven months ago I was very, very ill, depressed & anxious. I didn't know what was contributing to my malaise. I felt I was worth little to my self, my family, others, or even God. 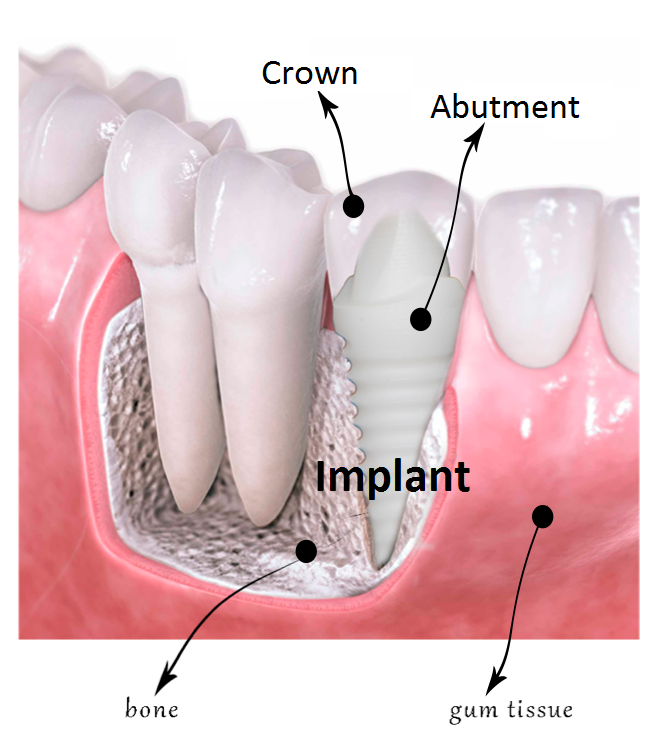 I had to have crowns replaced.......... After a severe detox episode, I began to feel better and better. Now I feel I can do anything I set my mind to with vision and inspiration. I have joy, purpose and a new lease on life. I am so happy my journey led me to Dr. Larsen and Healthy Dentistry. "- Rebeckah W.
"Awesome! Thanks! God's Blessings! "- Cheri P.
"It's been 1 1/2 months since having my mercury fillings removed by Dr. Larsen, I have noticed suble, postive chances in my over-all well being, I feel better than I have in a long, long time! My energy levels are higher and I have a more postive outlook, thankyou, Dr. Larsen"- Shanti J. "My experience today was real nice. I really liked it. I will recommend Dr. Larsen to all my family and friends. Very professional staff. Very friendly"- Mela M.
".....the hygienist was amazing and I truly enjoyed my experince! Dr. Larsen was also awesome and gave me awesome suggestions! "- Alexandria C.
"My appointment went well. I did not feel nervous or afraid. Everything was done perfect with no pain! "- Inocencia A. "Very Happy. Thankyou" :) - Aaron J. "The work done today was done in expert fashion. Very Good! "- Daniel B. ""Thank you for all the excellent work you've done for me! I feel so much more energized and healthy. God bless you! "- Margaret E.
"Very professional staff. Dr. was informative & courteous. Very pleasent visit. "- Bethany T.
"Always a great visit! Great Staff! "- Angele A. "The whole experience was wonderful. I was really nervous when I first came in, but all the staff made me comfortable & at ease. I typically hate shots, but when Dr. Larsen did it, I felt nonthing. I apperciate the extra time and efforts they take to make your experience a good one"- Veronica P.
I feel very fortunate to help my patients acheive better "oral" health. I feel extremely blessed to make such a powerful difference in my patients lives!